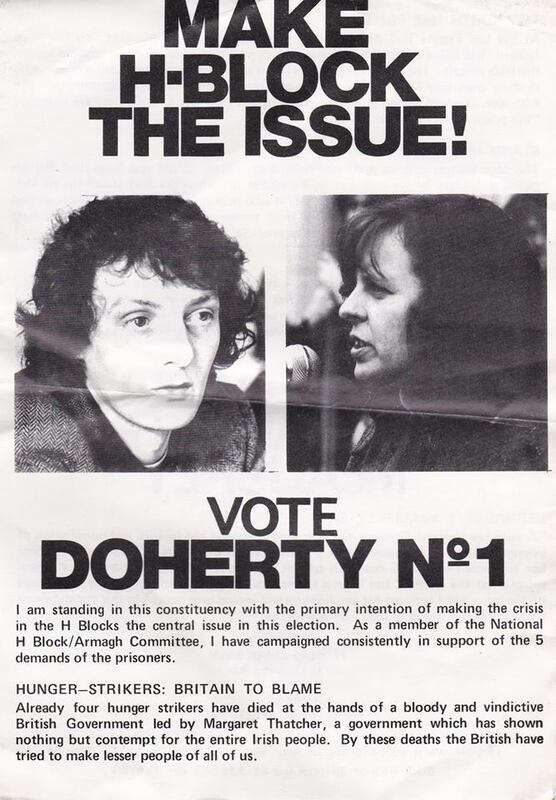 From the 1981 General Election a leaflet from Vincent Doherty of Peoples Democracy running in Dublin North Central which was Charles Haugheys constituencey. 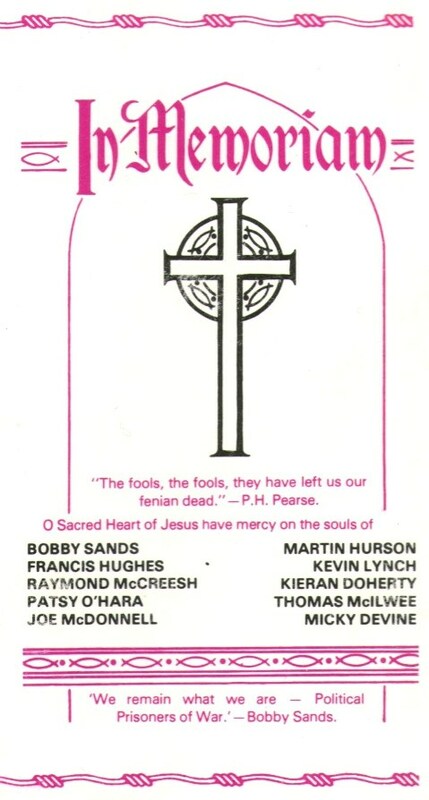 The leaflet also has a message of support from Bernadette McAliskey. He polled 1481 votes and missed out on a seat. 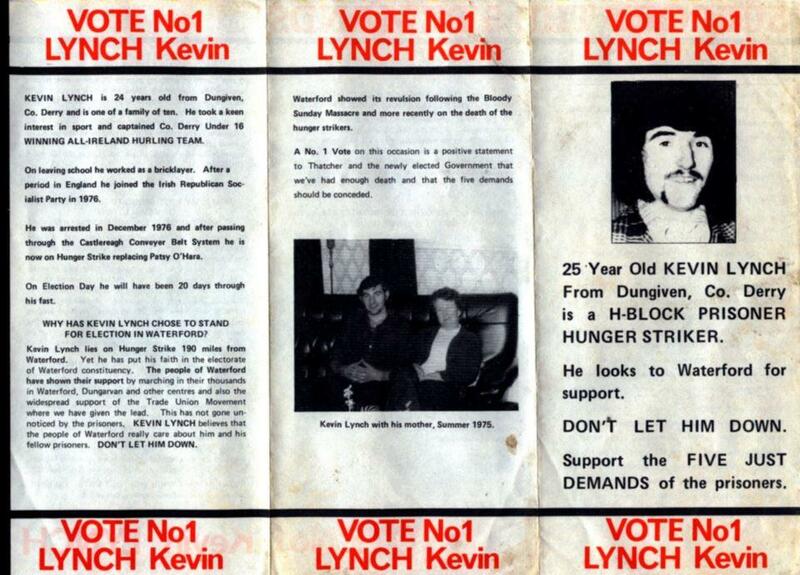 From the 1981 General Election Leaflets from Hunger Striker Kevin Lynch who was running in Waterford. He polled 3,337 votes but failed to win a seat. He died on the 1st August 1981. 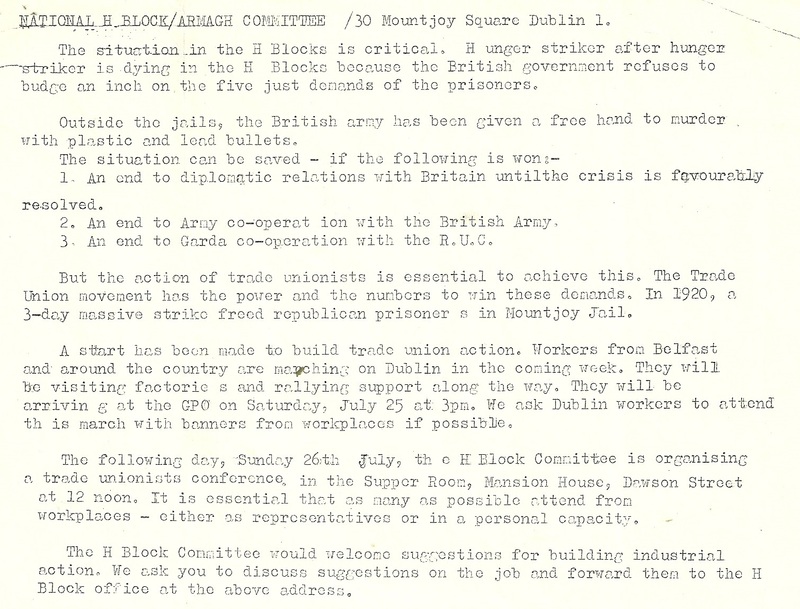 From July 1981 (at which stage six of the Hunger Strikers had died) a leaflet from the H Block /Armagh Committee looking to build support among the Trade Union movement for the Hunger Strikers and their demands. 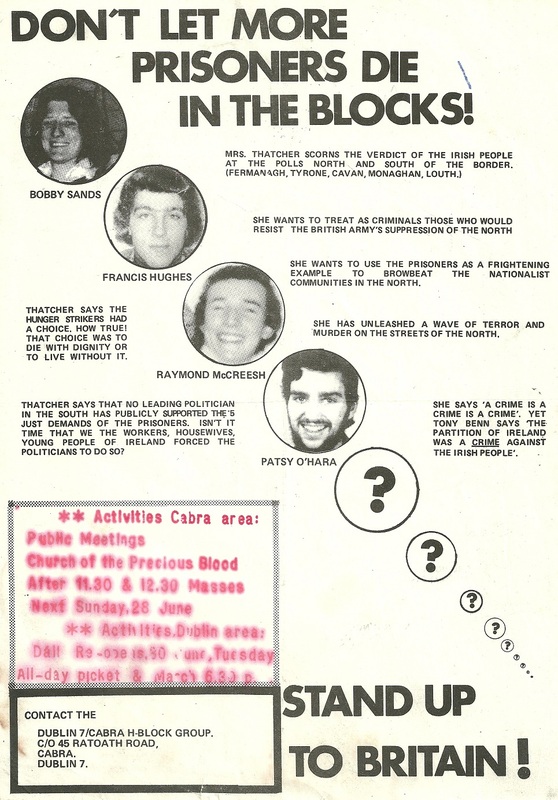 From the 1981 Hunger Strike a leaflet “To All GAA Fans… Support The Hunger Strikers”. The leaflet give details of how the GAA Central Council had issued a directive that no support by any part of the GAA should be given to the H-Block Campaign as it was ‘Party Political’ . 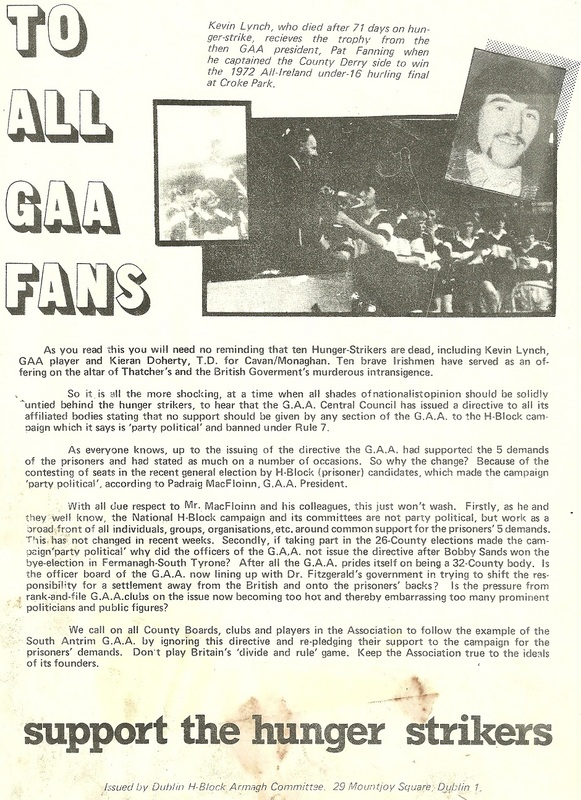 The GAA had previously supported the Hunger Strikers five demands.